Linked in with the commemorations on the weekend for the 50th anniversary of the band’s debut on American TV screens, if you have an Apple TV device you can watch the first Ed Sullivan Show performances of “All My Loving,” “‘Til There Was You,” “She Loves You,” “I Saw Her Standing There” and “I Want to Hold Your Hand” on the big screen. The complete performance clocks in at just over 14 minutes. 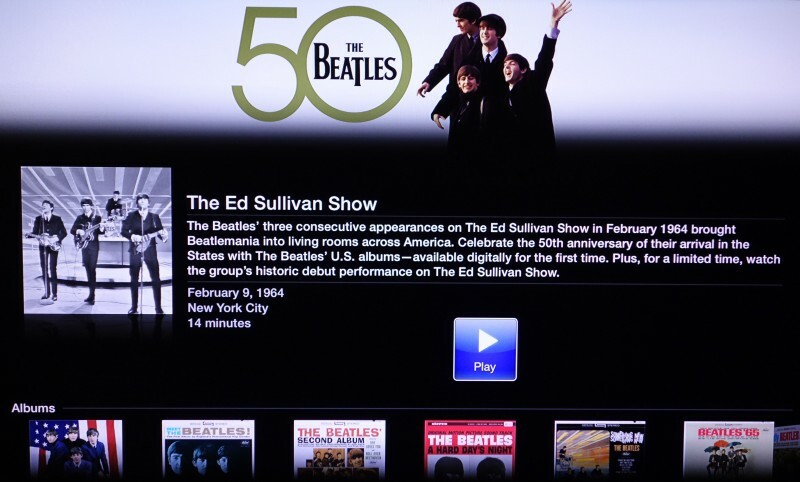 The Ed Sullivan recordings will be available for a limited time, according to the information on the channel. There are also links to The Beatles U.S. Albums, available for purchase from the iTunes Store (of course!). 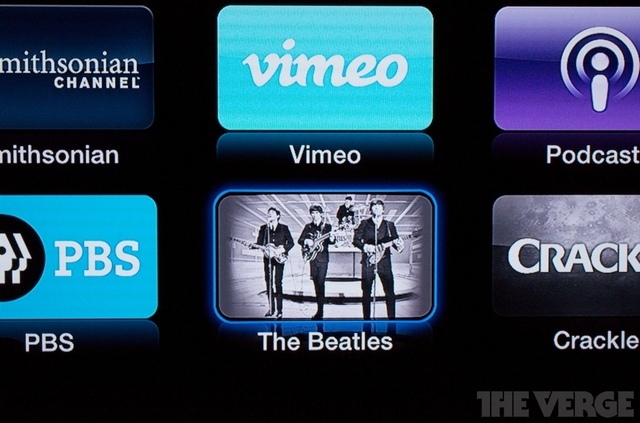 This entry was posted in Beatles, Beatles Music and tagged 50th anniversary, Apple TV, Beatles, Ed Sullivan Show, Music by beatlesblogger. Bookmark the permalink.